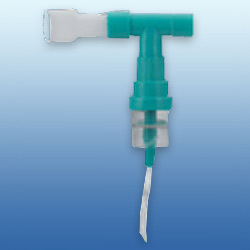 Nebulizer Mouth Kit useful for patients requiring drug delivery to the lungs for achieving desired coordination in breathing support. These allow increased amount of aerosol to reach the lungs and its reliable functioning have made it widely preferred to be used in hospitals around the world. For safe end usage, these are developed using thermo sensitive medical grade PVC and also comes with medication chamber in different capacities. The e complete system allows perfect coordination in transferring liquid asthma medication in form of fine micro mist aerosol for meeting the demands of respiratory treatment. Self Sealing Valve offered are of Schrader type and are made available by us in different finish type options including 3303  Oxygen, 3304 - Nitrous Oxide, 3305 - Air and 3306  Vacuum applications. These feature self sealing outlet points that allow gases & vacuum to be drawn and also feature use of non-interchangeable outlet fittings. Here, the supply is provided through insertion of appropriate safety key plug into orifice of outlet point and locking the same into desired position. 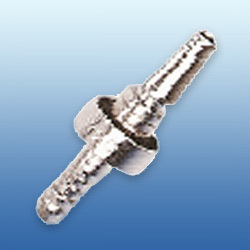 Further, for breaking connection, milled collar of orifice is rotated few degrees to right that result in safety key plug being automatically ejected and cutting off of the gas flow. 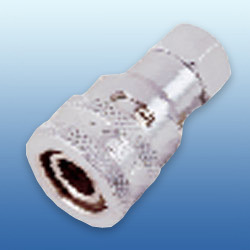 Safety Key Plug offered is of Schrader type and are made available in non-interchangeable finish options, thus reducing completely chances of errors in making desired functional connections. Here, the Plug Safety Key finds application in opening self sealing valve for drawing gas from pipe line and its removal automatically cuts off the flow of gas. Further, the plug safety key is designed in different finish types for handling the demands of different input gases including Vacuum, Air, oxygen, Nitrous oxide. 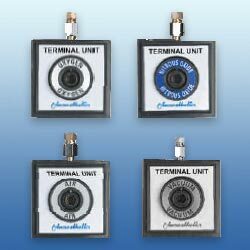 Terminal Units offered find application for medical gases and is based on continuous improvements we have made on the base product. 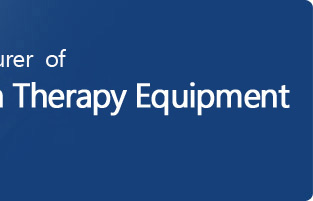 With these terminal units being the best available in the medical market, these are designed to provide for convenient connection at final delivery point. Further, the presence of two component design also provides for easy unit installation with the base blocks being permanently installed to gas distribution pipeline. Finding suitability for surface, flush, bed-head as well as pendant style mounting, these also feature high flow capabilities so as to suit specific customer requirements. 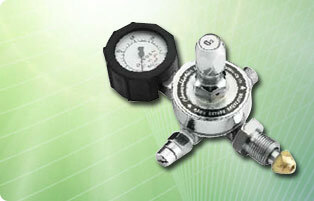 We can make these available for gases like Medical Air, Surgical Air, Nitrous Oxide and others. 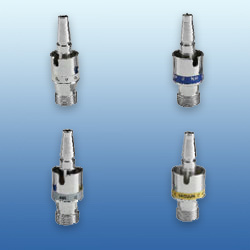 Direct Probe offered find usage as Anesthetics & gas Pipeline Accessories and is made available by us in four different variations so as to perfectly suit the end application demands. 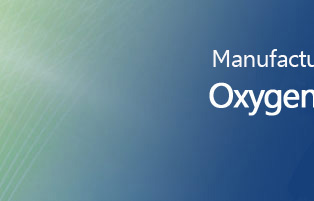 These probes allow for plugging of oxygen flowmeter as well as probes from front and features push to insert as well as press-to-release mechanism for handling the functional needs of flowmeters and probes. Further, the non-interchangeability between probes & terminal outlets for handling the demands of different associated services also helps in reducing possibility of errors in making of the connection.